VLISCO Ambassador Eugenia Mawuena Adjoa Tachie-Menson, the brain behind the popular Scripps Spelling Bee competition organised annually for primary kids around the country, has made very interesting revelations about her life, career and her thoughts on the educational structure in Ghana in an interview with NEWS-ONE. 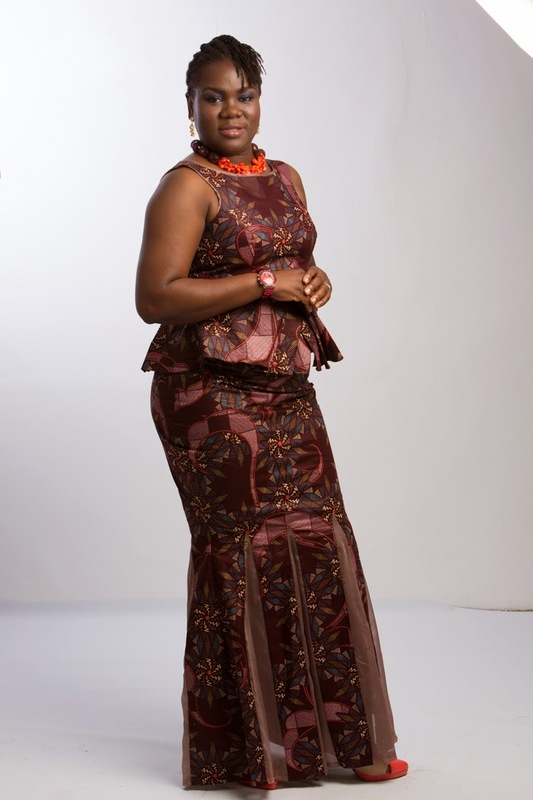 In this interview, she shares with NEWS-ONE how she manages her life as the brand ambassador of VLISCO, runs her Young Educator’s Foundation NGO and plays her role as a wife and mother. It was good and it was also educative. I grew up without access to TV and I keep saying that because television plays an important role in the development of a child. A child is influenced by whatever they see, do or have access to. I had access to books and BBC radio so I always seemed ahead of my contemporaries. But obviously back then, I thought it was not cool that I will grow up without TV. My schoolmates would be talking about TV programmes in school and I couldn’t share with them in the joy. Sometimes I had to play along. Growing up with no access to TV, did you feel you were being punished? It felt short-changed. But today when you sit back and look at it, you realise that it was for the best. My life is really not dependent on electronic media. What I can’t live without is access to books. I should know that there is a library or a place nearby that I can grab books to go and read. What was the first media house you worked with? Joy FM. I did a bit of radio personality and then I moved into promotions and events. I worked at Joy FM for seven or eight years. It was good. It was my founding years. You may ask how that is directly connected to what I do now. I know how to speak and I know how to write especially press releases and basically communication skills. Sometimes it is not really about what you are studying, unless it is the very defined professions like medicine or law. But if it is anything in between, school is just meant to open up your mind and give you foundation. The rest is really dependent on you. I started out wanting to be a lawyer before deciding I wanted to be a Public Relations Officer and now I work with children. I love working with children, I just never thought I could do it this way. The point I’m trying to make is that you really need to make use of whatever opportunities you have when you have it. For example when I was offered Journalism when I went to Ghana Institute of Journalism (GIJ), I didn’t want it so I left it for a year. I came back the following year and I was offered the same thing. I didn’t want to be on the street reporting and I didn’t want to do hard news. But studying Journalism has helped me in terms of communication skills and there is a bit of PR in there as well. Anything that comes your way, you must learn it because it will come in handy. I also have this controversial thought that for those of us who are studying academically should learn a skill outside of academia. Because one day you could end up becoming something technically far from what you thought you wanted to do. A skill is with you for life. Do you plan on going to Radio someday? I don’t plan but I have been toying with the idea. The reason is, I think that our children need a voice on radio or in the media. There are no outlets for our children because we think that they have nothing to say. I think that a lot of the media houses, when they are defining their demographics, it is always 30 plus, young working people, among others. But do you know how much influence a 9-year-old has on what his mother should buy? I tell you, it is a market that is being overlooked and everybody thinks ‘oh let’s wait till they get old’. For me socially, I think that there is nothing creative for children. Our society is one that we don’t even have a national Christmas party where children can turn up and just have a good time. There is nothing for children, and in my opinion, the media is also found guilty there. I think that Saturday mornings should be dedicated to children. There are a lot of children out there who have things they want to share but because they have busy parents, no one is listening to them. Children are a gift or conscience of a society. The way you treat your children is the way they will treat you when they grow up. If we start creating avenues for our children to be vocal, heard, seen, display their talent and have fun, when that child grows he or she will reciprocate. It doesn’t take a lot; an hour on a Saturday morning can do something. From Monday to Friday we are all talking politics, commercials and business. When do we make time for our children? The fact that it has been or it is, does not mean that when it is not right it can’t be corrected. Talking about kids, I hear you run an NGO for kids. Tell us about it. The NGO is Young Educators Foundation. Our mission is to promote education and prove that learning can be fun and it is not limited to the classroom. Learning happens on a daily basis. What is the inspiration behind the NGO? A lot of reasons: I love children and I always want to be around them. We are a society that would report politics, entertainment and football. We now have every Senior High School graduate wanting to be a rap star but not every one of them will make it; and if you don’t, what skill or educational background do you have? And that is what bothers me. That is what kicked me into it. How is the NGO going so far? I am happy with the fact that there is recognition and acknowledgement so people know about our biggest programme. On the down side, there is not enough funding even within cooperate Ghana. A lot of the organisations say they support education and would probably build a classroom block –which is awesome- but I say it must be total. When you build the classroom block, we need to empower the children. You don’t build the block and children will go there and at the end of the day they can’t write their own names. If children who were being taught under trees were being given the best of education -content wise- and you have a group of children in a classroom who don’t have a teacher, which would you go for? It is controversial but which will you go for? I would rather sit under the tree and get the best of content. I think that we need to review what we mean by supporting education. It doesn’t mean that at the end of the year, you go and throw a party for some children somewhere or give them books and leave it at that. I don’t think so; I think that it must go beyond. Those of us who find ourselves in what is now referred to us the middle class, look at how much you give your children in terms of education, then you ask yourself that that squatter leaving next to you, whose child plays with your child when you are not around, do they have the same access to education? If they don’t, it must worry you because we are all Ghanaians. If you look at the lot of the problems that we are facing in this country, you would always trace it to our educational challenges. It sound like a cliché but education is the key to every problem. What are some of the challenges you face running your NGO? First, it would be funding. Second challenge is acceptance of what our mission is. We are on a constant PR campaign explaining to people that there is a correlation between learning the rudiments of spelling and passing your exams for example. The third challenge is also the lack of parental support. Parents seem to think that if they pay for a programme or school fees then that is the end of their job so they don’t get involved. As a parent you must know what your child is learning and be there with them. But they are challenges and we will get over them. It is a constant practice. You are the brain behind the Scripps Spelling Bee – of the US- competition in Ghana. What was the motivation behind it? Well basically it was my love for children and the fact that there was no programme for children running. I loved how the Scripps Spelling Bee celebrates children. The top prize for the best speller at the international level is $30,000 and then they get scholarships. It really places premium on children and education. So I thought that this is a programme that we should expose our children to. You may not make so much but the exposure, going out there and knowing that you are the only one flying the flag for the country. Regardless of how you perform, it is an honour that some will never get. It is about time we started being myopic about education and learning and being open-minded. Can you imagine the day a Ghanaian child will win at Scripps Spelling Bee? Do you know what it will say about our educational system and the country? I can’t wait for that day and it will happen. How do the kids relate to the programme? I wish you could ask the kids themselves but I think they love it. Initially, some of the children seemed a bit scared about spelling those big words but for me, what I have seen over the years is that when we started, it was considered a girl’s programme but as of this year out of 82 finalists, we have more boys, which I am happy about. Lots of the parents do not know me but I say ‘do and ask your child’ and the kids go like ‘oh I know the Spelling Bee woman’. I think that is a testament of how well the programme has been received by the children. When did you become VLISCO Ambassador? I was nomination was in 2013 and I was made ambassador on April 5, 2014. It has been awesome and actually I’m in my last leg. I will be handing over soon. I have learnt a lot about local African fabric –I have always been a lover of it though. The highlight of my winning the ambassadorship was a trip to Holland- the home of VLISCO- to learn about how the fabrics are made and history of VLISCO. One thing I like about VLISCO is leaving no stone unturned to make sure that the end customer is very pleased. What are all the things you have going on? How does your family cope with your tight schedule? The rest of my family, fortunately, are all passionate about education and love what I do. Yes, it does pull me away a lot but I got to be honest, something that I haven’t been able to say is that in a lot of times when I’m not able to access funding, it is my family I rely on and I’m grateful to God that I have that kind family. They totally support what I do, especially my husband. How do you find time between work and family? I’m actually a social butterfly so I have learnt to adjust. I love social events, I like going out. My mother helps me with the babysitting. It is not easy definitely…on some day… I can’t be at work or I have to be at a program and so I miss work but what I try not to do is not to miss any family engagement. There is nothing like having it all or if you are going to have it all, bear in mind that something has to be sacrificed along the line. You at that time need to decide which one has to be sacrificed. If you try to have it all, you probably will breakdown or whatever you are working at will not work. Thank you too for the interview.